Is a Texas Border Wall a Smart Investment? Texas shares more than 1,200 miles of border with Mexico, and constructing President Donald Trump’s proposed southern border wall will impact the state economy. Setting aside hyperbole and politics, and assuming Congress allocates the necessary funding, what would be the short- and long-term economic implications from the wall for the Texas economy? The construction itself would provide a boost to some Texas industries. Two of the most needed materials would be steel and precast cement panels. The most economical approach would be to locally source these materials. If we estimate a 40-foot-high wall, as Bernstein Research does in a 2016 analysis, the amount of concrete would add a full percentage point to the national demand in 2018-9, which is good news for the Texas cement industry, already employing nearly 56,000 Texans with a total payroll of $2.3 billion. The Texas steel industry employs 10,000 people, with an additional 68,000 employed in businesses supporting the industry. Low unemployment and healthy wages encourage consumerism and sales tax revenue. 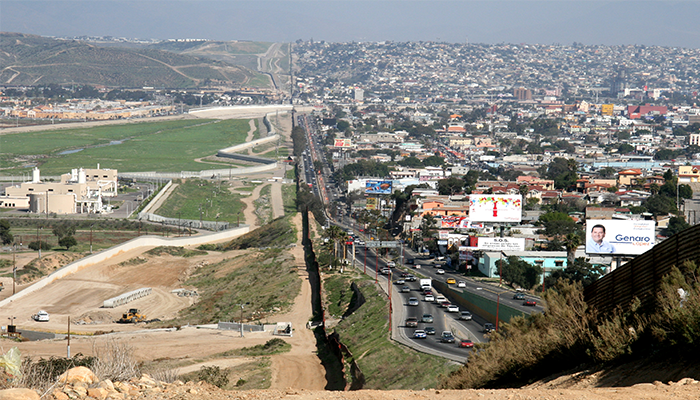 Construction would also require tens of thousands of workers temporarily living in border areas. As Jean-Michel Wasterlain wrote in Barron’s, this would decrease rental vacancies and put upward pressure on rents, which is beneficial to real estate owners. And local companies such as grocery stores, restaurants, gas stations, retail stores and others could see increased business in satisfying the needs of these temporary residents. At the same time, the Associated General Contractors 2016 survey found that there is a construction labor shortage in Texas, with businesses competing with the energy industry for workers. The wall construction would need to deliver competitive wages to attract the workers who will be toiling in harsh, remote environments. This could lead to an even greater construction worker shortage, which in the short term could increase costs for new real estate projects or prevent them entirely. After construction is complete, when the boost to rentals and local businesses evaporate, the wall’s economic benefits to Texas become murkier. If the wall project is paired with deportations of the existing illegal resident population in Texas, the state may see lower annual costs. A Texas Public Policy Foundation study found that for public services, taking into account net economic contributions and expenses, Texas spends about $900 per illegal resident per year. Using the Department of Homeland Security 2010 estimate of 1.77 million undocumented immigrants in Texas, that comes to about $1.5 billion per year. A wall could also limit narcotics and human trafficking, which has broad societal benefits that are difficult to measure. Certainly, stemming the flow of drugs and preventing the terrible conditions surrounding human smuggling are benefits for Texas and the nation. Yet, Mexican cartels are ingeniously devious in their approaches to penetrating the physical border infrastructure currently standing in California, Arizona, and New Mexico. Meanwhile, there would be cascading negative ramifications. Immigrant labor commands lower wages, which in turn allows Texas businesses to offer lower product prices. By this, Texas consumers save an estimated $3 billion to $6 billion annually, according to the Texas Public Policy Foundation report. While a smaller illegal immigrant labor force would reduce job competition with legal residents, it would also potentially lead to higher wages and ensuing higher product prices. The report also notes that in 2010, illegal immigrants contributed $178 million in state property taxes and $1.4 billion in sales tax. In addition to losing this tax revenue, a border wall that bisects economic areas along the border could have a chilling effect on cross-border commerce, in turn further reducing sales tax revenue for the state. In deciding whether to build the wall, it is best to view this infrastructure from the perspective of investing. The smartest investments are those that offer long-term yield. If one of the primary motivations for the wall is economic, it’s hard to make the argument that it can offer long-term yield for Texas. At the end of the day, GDP equals the number of people times their productivity. Fewer people in Texas ultimately means less economic growth. Weighing the costs and benefits, we need to think in terms of opportunity costs. What else could we do with the estimated $21.6 billion needed to build a continuous coast-to-coast wall? The nation’s critical infrastructure—such as roads, bridges, and dams—are in a sorry state, which has a big impact on productivity. We also need to train our workforce to participate in a range of industries that are increasingly technical in nature. If the long-term yield is the goal, we would be better served investing in the factors that contribute to a more competitive and productive state and national economy.